Here's where to watch every episode of Life Goes On season 1. Mouseover or tap an episode to see where to stream it. Click or tap the play icon to stream it on the best available service. Pilot Sep 12, 1989 Corky tries to mainstream into the 9th grade, the same grade as Becca. Becca worries that Corky may stop her from getting to the boy she really wants, Tyler Benchfield, a star on the football team. Corky dreams of being King at the homecoming dance with Ron Lieberman. Corky is accused of cheating off Rona's paper but it was exactly the opposite. Tyler introduces the Thatchers to his brother Donny, who also has Down's Syndrome. Doubts arise arise over whether Corky should indeed mainstream as opposed to going into a special-ed program, or a private school (which the Thatcher's can't afford). But at a serious parent-principle meeting, Corky dispels all doubts by reciting ""The Raven"", the famous Edgar Allan Poe poem.Sub-plot: For Libby's 40th birthday, Drew buys her a heart-shaped ring that they can't afford. Paige moves home. 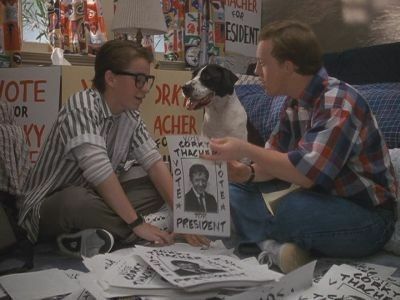 Corky for President Sep 24, 1989 Corky runs for freshman class president with the help of an unpopular, smart student,Lester Fishbein. He has a crush on Rona and really believes that Rona likes him as well. Rona encourages him to run and Corky doesn't realize she's just joking with him. The Baby-Sitter Oct 1, 1989 Corky gets a babysitting job; his classmates barge in at the house where he is babysitting. The intrusive folks include Tyler, who regrets the whole thing, and ""Russo"", who is basically a jerk/nemesis. Break a Leg, Mom Oct 8, 1989 An episode showcasing the singing talents of Patti LuPone. A Tony winner for the musical ""Evita"", actually centers around Corky, for whom nothing seems to be going right. First, he has an accident in driver's ed. Moreover, he's not doing well in his remedial arithmetic class, and if he doesn't pass a minimum-competency test he won't be able to stay in the mainstream program. What really gets to Corky, though, is the uneasy feeling that his mom gave up a promising show-business career because he came along. As it happens, Libby has a chance for a comeback of sorts, at the community college's ""Autumn Follies"". She wants no part of it. And Corky doesn't want to take arithmetic tutoring with kids ten years younger than himself. But they work out a deal: he'll take the tutoring if she auditions for the show. Becca's First Love Oct 15, 1989 Becca falls for the lead singer (Gabe) in a neighborhood band. She stays out with Maxine to listen to the band past curfew. Gabe encourages her to stay late and she gets in trouble with her parents. Paige's Date Oct 22, 1989 Drew sets up Paige with a charmer whose head is in the clouds; unfortunately his sense of responsibility seems to be mired in quicksand. Paige's Mom Nov 5, 1989 Paige's mom comes back. They have a great time, and make plans for a trip to New England. Paige's mom winds up living without Paige. A lot of flashbacks to when Paige's mom, an actress, originally left. Tearful ending with Paige calling Libby mom. Call of the Wild Nov 12, 1989 Drew works on a construction project at an Indian burial ground. A wolf who mysteriously gaurds the grounds saves Corky from Dobermans pursuing him in a nearby wooded area. Corky Witnesses a Crime Nov 26, 1989 Corky tries out for the football team. The footbal coach hits a student, one of his former players, and all the team stands up for the coach except Corky who is compelled to tell the truth. The coach claims that he was hit first. He cuts Corky from the team, but later when the team comes out with truth as well, Corky is allowed to keep trying out. Ordinary Heroes Dec 3, 1989 A frustrated Drew decides to quit his construction job and go into the restaurant business; and he joins Libby in counseling a couple whose newborn daughter has Down's Syndrome. As it turns out in the end, the guy who owns the restaurant doesn't sell the restaurant to Drew because Corky has Down's. Also, we learn that the cook at his restaurant makes the best french fries. Pets, Guys and Videotape Dec 10, 1989 Paige goes to work for a veteranarian who is very kind with suffering animals but kind of insufferable with humans. The vet is divorced and has a child. Meanwhile, Becca videotapes a hectic day in the life of her working mother. Corky's Crush Jan 14, 1990 Becca and Corky (in the same class somehow) do a classroom exercise in which paired students must pretend to be married for a week to investigate issues of marriage and family life. Becca is first paired with Lester Fishbein, then switches to Tyler. Neither works out terribly well. Corky, on the other hand, is paired with the new girl (Shannon Dougherty of 90210), upon whom he develops a crush. She only has eyes for the ubiquitous Russo, though, and Corky has to make peace with only being a friend. Meanwhile, Libby's parents hole up at the Thatchers' to continue their love feud. There's a great scene in which Sal Giordano encourages Corky that the right girl is out there. Thacher and Henderson Jan 21, 1990 At the high school football reunion, Drew finally makes peace with his best friend after a falling out over a business deal that caused Drew to lose $10,000 after 10 years. Becca watches Paige who is with her vet boyfriend and then her ex (the motorcycle man) shows up and Paige has to choose between the 2 of them. Becca gets a crush on one of the football players sons until Tyler Benchfield shows up putting her in the same position as Paige. The Return of Uncle Richard Feb 4, 1990 Drew's younger brother Richard, a lovable family black sheep, breezes in at a time when Corky is beginning to wonder who'll look after him when his parents die. Drew and Richard don't get along, but needless to say, the kids love him. 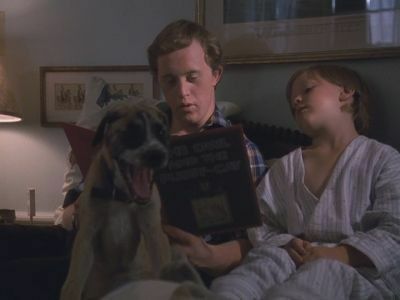 The culmination of Drew's mending relationship with Richard comes when Libby and Drew entrust the care of Corky to Richard if something were to happen to them. 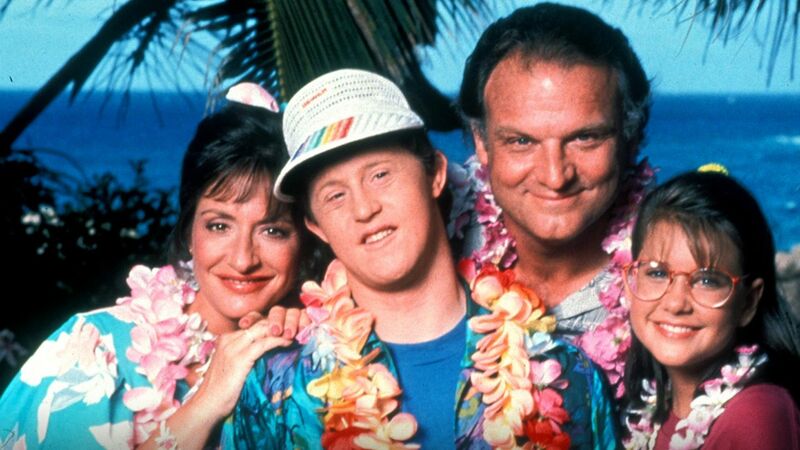 Brothers Feb 11, 1990 The Special Olympics, a time for warmhearted competition and fun, also bring love to Corky and a challenge to Tyler, whose father won't permit Tyler's Down-syndrome brother to participate. Corky Rebels Feb 18, 1990 At 18, Corky wants out from under his parents' wings-- even if it just means taking the bus to school. Unfortunately, he ends up with the bad crowd. The height of this episode comes when ""bad boy"" Corky auditions for the community talent show with a hip-hop dance routine to "" Fight the Power"" from ""Do the Right Thing"", the Spike's Lee film. Eventually, after the rough kids with whom he's been hanging out turn on him, he mends his ways and does a tap dance routine with Becca (their ""standard"" act) in the show instead. It Ain't All It's Cracked up to Be Mar 4, 1990 Becca enters a Miss Teen contest and finds out that she is sharing a room with none other than Rona Lieberman. Scholarship money is at stake in this pageant. Becca gets know Rona a little better after Rona's mother shows up at the pageant drunk and makes a fool of Rona during her piano performance. Drew has problems with the new neighbors because their son has a band and plays loud music. Corky tries out for chorus but doesn't make it because he can't sing. Later the neighbor boy gives Corky his old set of drums and Corky seems to be quite talented at playing them. Drew and the neighbors make peace. Pig o' My Heart Mar 25, 1990 Drew finally gets a chance to own his own restaurant, but it's Corky who brings home the bacon: a huge runaway porker that hogs Corky's affections. Corkt adopted it to fill the void of Paige's leaving ( so this must be when Monique Lanier left the show). How Drew got the restaurant bears discussion. In ""Ordinary Heros"", he tried to but it, but when the brother's who owned it discovered that Corky had Down's, one of them got cold feet about what that would do for business. Then the writers decided instead on the fact that Drew can't get the loan approved to buy the place. When the owner of the pig ( which Corky named ""Jeffrey"", even though it was a girl) finally is reunited with the animal, he mentions something about liking restaurants but having no time to run them. Drew sees his shot and goes for it-- cut to the Grand Opening of the Glen Brook Grill, with cameos by all the friends of the family from previous episodes. Becca and the Underground Newspaper Apr 1, 1990 As a reporter for an underground newspaper, Becca zealously pens an expose of the school janitor's criminal past for the that's the truth- but not the whole truth. The janitor's name was Kominsky. He had a minor criminal infraction years ago when he broke into a house to steal money to feed himself and his wife. Becca reports on this, but never interviews Kominsky for his side of the story. The scandel breaks, and Becca realizes the irresponsibility of her actions ( although she was pushed into it by the pretentios paper editor, who also asked her out on a date). She apologizes to Kominsky and publishes a retraction in the legit school paper. Kominsky gets a job at the Grill. Save the Last Dance for Me Apr 15, 1990 Becca's aged dance teacher (Viveca Lindfors) must enter a nursing home. With a Mighty Heart Apr 29, 1990 Drew is sure that his father, who stops by on his way to join the Peace Corps in the Solomon Islands, isn't telling them the whole story. The Spring Fling May 13, 1990 Becca finally gets asked to the dance by Tyler. Only had already accepted an invitation with someone else. She breaks it off with the first guy, but then feels guilty and dances with him or something.